Is 4-H only about animals? No! You do not need to own an animal to be in 4-H nor do you need to live on a farm. 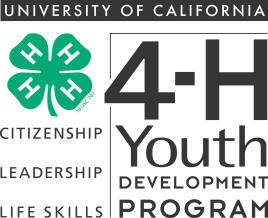 4-H is a youth program with more activities than you can imagine. 4-H has rural, suburban and urban kids that not only take part in the livestock area, but in foods and nutrition, dog care and training, sewing, arts and crafts and public speaking just to name a few. In Stanislaus County ages 5-19 are eligible to participate. 4-H members participate in events, contests, projects, exhibits, summer and winter camps, international programs, scholarships, and more. 4-H members can learn about leadership, learn new skills, and have the chance to participate in workshops, both county and state activities and more. Many teens become leaders that help the younger and new 4-H members. There are special citizenship projects for California and Washington D.C. A positive attitude, the willingness to learn new projects, meet new people, and to do some type of community service and most of all have fun. 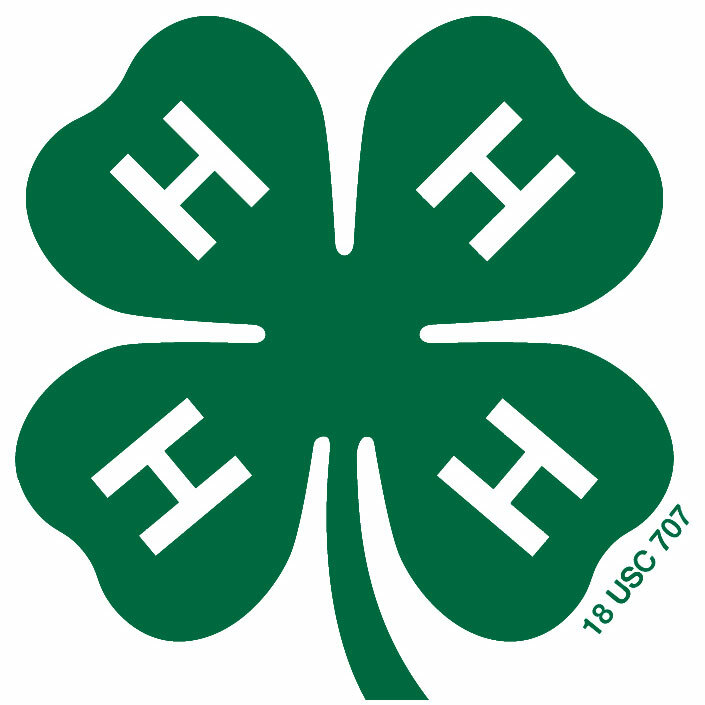 The 4-H clover has an "H" on each leaf, representing Head, Heart, Hands, and Health. The clover is green to symbolize growth and youth, and the white color of the H's represents sincerity and honesty. The clover was adopted in 1909. National 4-H has a policy about the proper use of the clover to help preserve its special character. For the complete policy, click here: National Clover Policy. I believe in the training of my HEAD for the power it will give me to think, plan, and to reason.